The 2006 ISOGG Y-DNA Haplogroup Tree was first introduced 10 April 2006. All updates to the 2006 Tree began with version 1.01. The 2007 ISOGG Y-DNA Haplogroup Tree's first updated version is 2.01. The 2008 ISOGG Y-DNA Haplogroup Tree's first updated version is 3.01. The 2009 ISOGG Y-DNA Haplogroup Tree's first updated version is 4.01. 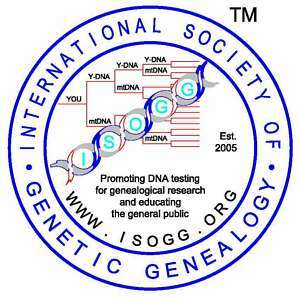 The 2010 ISOGG Y-DNA Haplogroup Tree's first updated version is 5.01. Individual pages show their last update. Corrections/Additions made since 1 January 2019 to the individual pages are shown near the bottom of each page and dated.